Since my Star Wars game has been cancelled this evening but I’m all caffeined up anyway, thought I’d write about the mapping that I’ve recently done for my upcoming Three Brothers D&D 5E Campaign. If you want to find out more about this you can check out my gazetteer post by clicking here. This is the overall world map, I made this out of several generated maps and then composed them in Photoshop before overlaying a hex grid. I also created a version where I show the tropical, temperate and polar zones since I think it is important to have these locked down for when we start to fill in the map later during the course of this (and hopefully other future) campaigns. 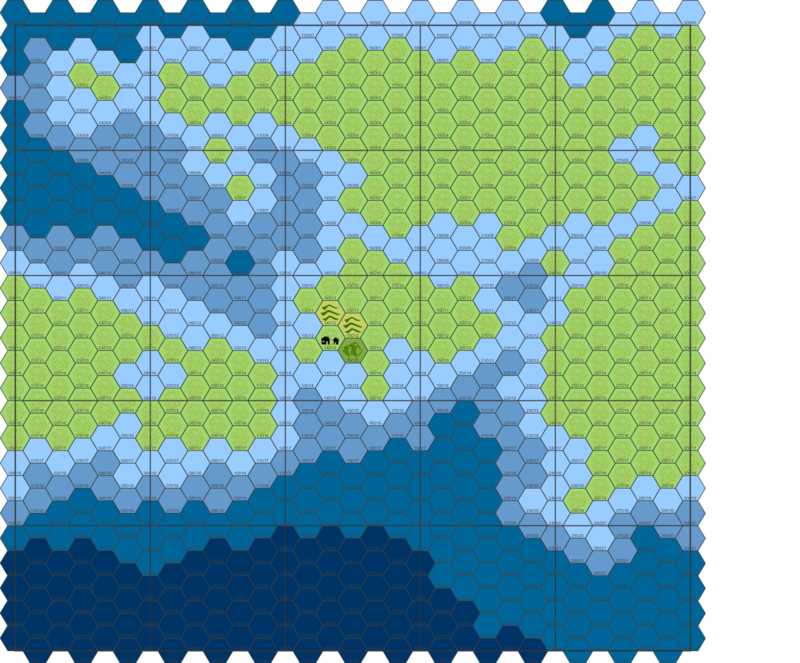 There are some other bits and pieces on the GM layer but I’ve hidden them so my players can see the sub-hex map without ruining things; my hope is that we can expand the larger scale maps, covering things like general terrain etc and then zoom in on the hexes where interesting stuff and adventures happen. 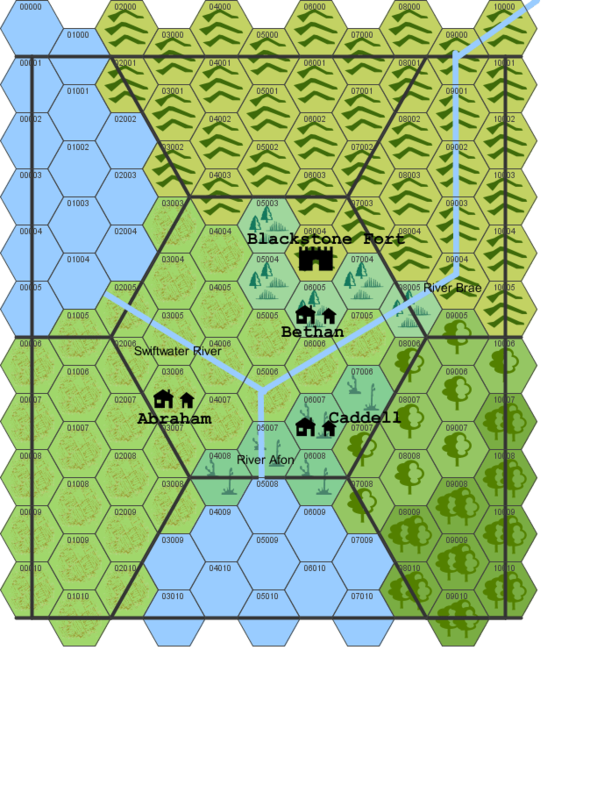 The maps for this campaign were produced using the excellent hexographer and hex templates from the Welsh Piper website. Comments can be left below, tweated to me @RedDiceDiaries or email RedDiceDiaries@gmail.com. This entry was posted in Campaign Creation and tagged 5E, 5th Edition, campaign, campaign world, D&D, Dungeons and Dragons, hex mapping, Hexographer, The Welsh Piper, Three Brothers by John Large. Bookmark the permalink. With my home maps, I tend to similarly add places to the map as the party discovers them. Many places, towns, rivers, even ruins, have locations commonly enough known to appear on general maps. It really is fun to see the map slowly grow in detail as the campaign progresses. Couple this with multiple campaigns, and your map gradually grows and grows over the years. It’s quite rewarding.